At this week’s SEMA show, drifting luminary Vaughn Gittin Jr. and Ford unveiled the Mustang RTR package which, along with the platform it’s applied to, is all-new for 2015. Along with the requisite visual upgrades, the top-tier Mustang GT RTR gets a big dose of additional grunt – to the tune of 725 horsepower. Visual modifications to the standard Mustang GT include a new chin spoiler, custom upper and lower grills, a more prominent rear ducktail spoiler, new side sills, a chunky rear diffuser and optional snowflake-style alloys. To bring the handling up to snuff with the expectations of oversteer merchants like Vaughn Gittin Jr. the Mustang RTR also gets adjustable dampers and a sway bars, along with stiffer (and lower) springs. 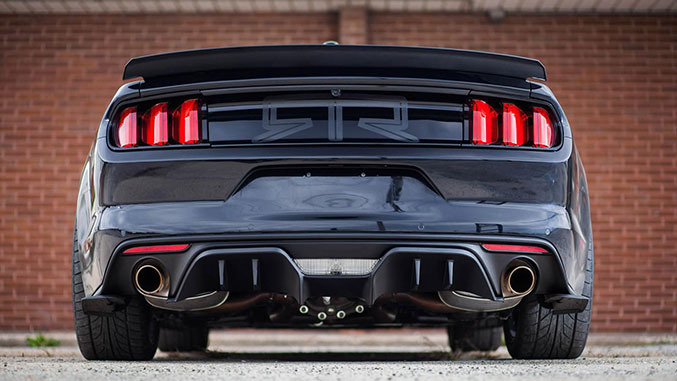 On the power front, the RTR treatment includes a cold air intake, Magnaflow exhaust system, a supercharger of unspecified ilk, and what we can only assume is a custom ECU tune to explain to the Mustang’s various systems what to do with all the newfound ponies under the hood. For those who’d prefer the look but don’t need the extra 290 horsepower and beefed up suspension, the “Spec 1” package includes all of the visual upgrades of the RTR but leaves the mechanicals stock. 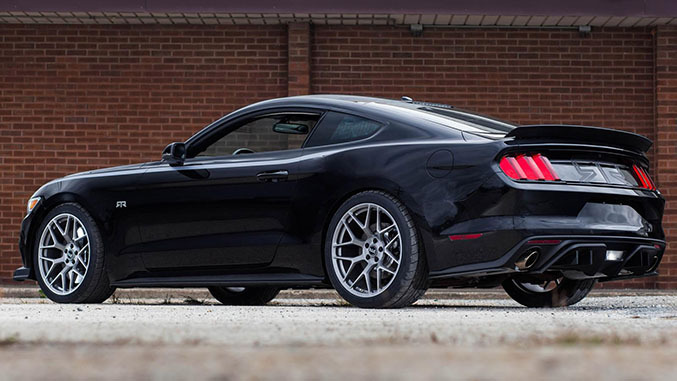 As a dealer-installed option package since 2009, the RTR’s various upgrades can also be purchased as individual parts through your local Ford dealership. Set to go on sale in January of 2015, for the first time ever the RTR package will be available globally, much like the Mustang itself. Pricing is expected to be announced closer to launch. Keep an eye on the 2015 Ford Mustang RTR overview page for updates as we have them.